eine telefonverbindung wurde von diesem würfel in die grazer wohnung des künstlers gelegt, wo richard kriesche für fragen des publikums für die dauer des kunstmarkts 24 stunden täglich zur verfügung stand. 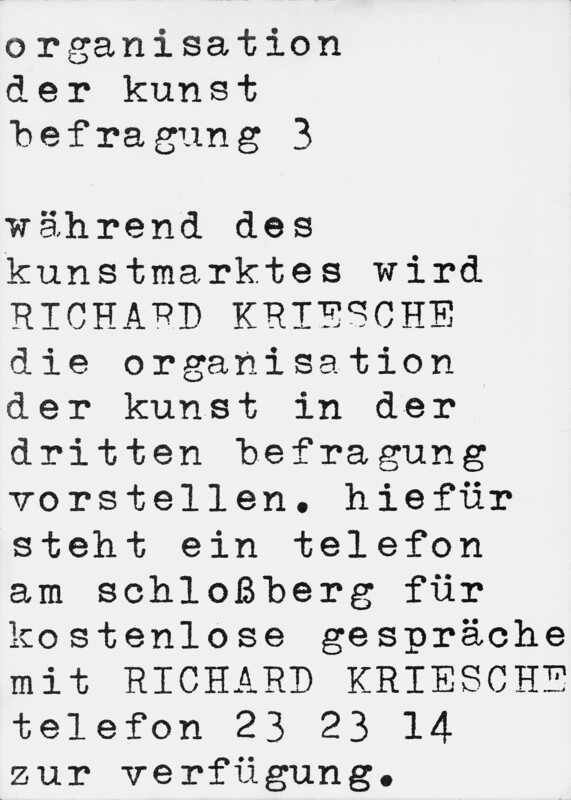 organisation of art installation within the context of an art market on the graz schlossberg: a black telephone stood on a black cube, on whose visible sides the following text could be read: organisation of art consultancy 3: RICHARD KRIESCHE telephone 232314 will explain his ideas on the organisation of art. 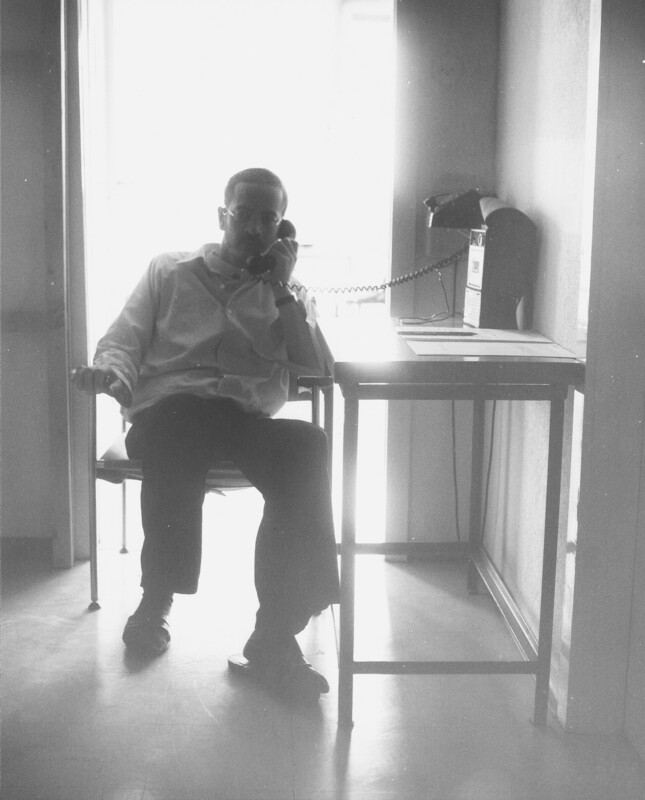 for this purpose, this telephone is available at no cost. 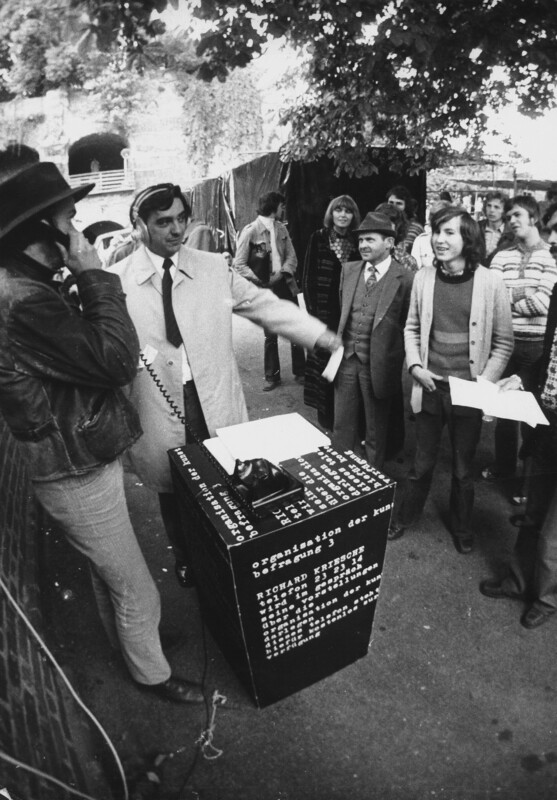 a telephone connection was laid from this cube to the artist’s graz apartment, where richard kriesche was available to speak to the public 24 hours a day for the duration of the art market.